There are many questions homeowners ask themselves during the selling process. “How much will my home sell for?” “How much should I list my home for?” “Who should I select as a real estate agent to sell my home?” “What if the real estate agent overprices my home?” Last but not least, “Is this a good time to be selling a home?” is also a very common question that real estate agents are asked. As with every decision in life, there are pros and cons, and choosing when to sell a home is no different. There are many factors that need to be taken into consideration before deciding when to sell a home. Many homeowners believe selling a home during the fall or winter months is not a good idea and that the spring is the only time a house should be sold. This is the furthest from the truth. Certainly most real estate markets across the United States experience a “spring market rush” every year. There is no doubt that the “spring market” is a great time to be selling and buying real estate, however, the fall and winter seasons may be the best fit for you for many reasons. One way that you can tell the spring real estate market has arrived is by driving down a street in your local community. In all likelihood there will be For Sale signs up all over the neighborhood! One great reason to sell your home now and not wait until the spring market is there is sure to be less competition. The fewer number of comparable homes for sale, the greater the probability that a buyer will look at your home. Simply put, it’s the supply and demand theory. If there are less homes for sale, there are less homes that a potential buyer can choose from, therefore increasing the demand for your home. Not only will less competition increase the probability for showings, but it will also increase the probability that an offer will be received and you will get the maximum amount of money for your home. Homes are sold and bought 365 days a year, period! 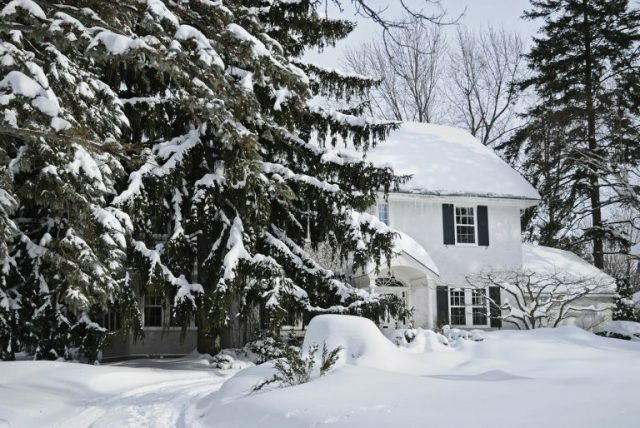 Many homeowners believe that buyers aren’t out there during the fall and winter months. This simply is not the case. Serious buyers are always out there! Some buyers may stop their home search because it is the fall or winter, but serious buyers will continue to look at homes, no matter what time of year it is. The fall and winter months are also a great time for a potential buyer to see what a specific neighborhood is like. Do your neighbors have pumpkins on their front step? Are there lots of Trick-or-Treaters wandering the neighborhood on Halloween? Do any of your neighbors have any light displays for the holidays? There are buyers out there who will look at these types of things when determining whether your home is in the right neighborhood for them or not. Any real estate agent who tells you that the fall or winter months are a bad time to sell is not someone you want selling your home! A great real estate agent will know how to adapt to the current season and market their listings to reflect that. A great real estate agent can make suggestions and give some of their tips on how to sell a home during the fall or winter seasons. If a real estate agent doesn’t have any suggestions on making your home more desirable for the current season, you should be concerned about the creativity they are going to use when marketing your home. Many sellers believe staging a home is the main reason a home sells. While staging certainly helps sell homes, some buyers have a difficult time envisioning themselves in a home no matter what you do. However, there are some buyers who can easily be “sold” on a home because it is staged. Simple “seasonal” staging such as adjusting the color of the decor or having an aroma in the air that is relative to the time of year can go a long way with some potential buyers and possibly be the difference between a home selling or not. Right now, there are fewer real estate transactions than there will be in the spring. The fewer number of transactions means the mortgage lenders have less loans to process, attorneys have less closings to do, and home inspectors have fewer inspections to do. All of these factors should lead to a quicker transaction and closing for all the parties involved. One of the most frustrating things for a seller to deal with while selling their home is not getting answers in a reasonable amount of time. A quicker transaction is going to be less stress for you. By considering all of the reasons above, you will be able to determine whether now is a good time to sell or if you should wait until the spring. Dupont Real Estate understands the seasonal nature of the real estate market. Give us a call!